Truckstop 8 has three hyper modern truck washes, specially for trucks and vans, which meet the highest possible standards. Could your commercial vehicle do with a wash? Let the most modern truck wash of Eindhoven do the work while you enjoy a free cup of coffee (or other drink) in our stylish restaurant. 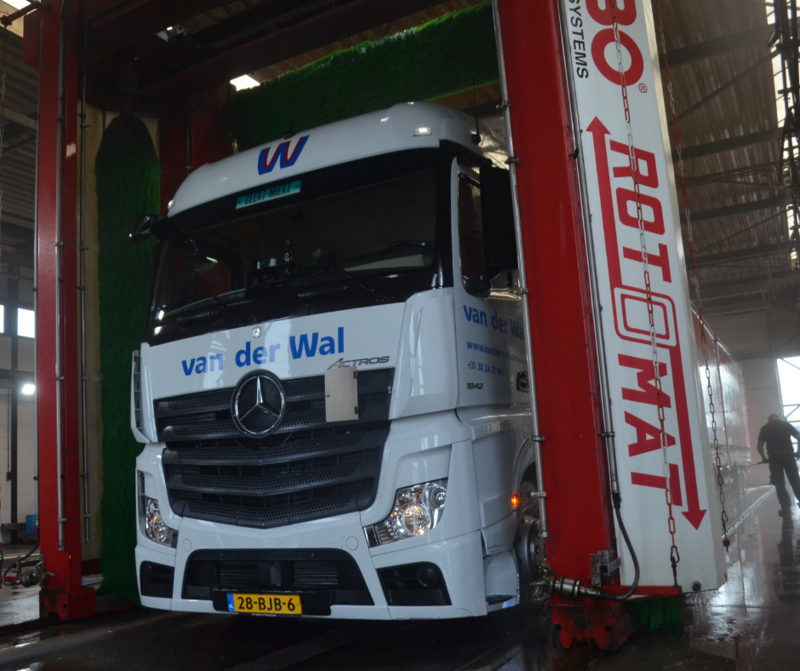 Whether you have the chassis, the exterior or the interior of your semi-trailer cleaned: our truck wash close to Eindhoven Airport offers you all the options. Recently we have installed a complete new installation in our machinery room. The truck wash at Truckstop 8 is extremely environment friendly, as the water is constantly cleaned and recycled. Greatest advantage of this new installation is that the installation has minimum risks of malfunction. After the vehicle has been cleaned it will be completely rinsed with reversed osmosis water to clean the vehicle spotless. You can pay in our Truck Wash by Travelcard, Maestro-/Mastercard, visacard, visa electron, Union pay, and Vpay. The truck wash at Truckstop 8 is also ideal for your camper vanideal for your camper van. Unfortunately we cannot clean the roof of your camper van, due to the wide variety of structures. When you make use of the truck wash however, we offer you the opportunity to do so yourself at no extra cost. On weekdays, our truck wash is open from 08.00 to 19.00 hours, and on Saturdays, you can have your truck or camper cleaned from 08.00 to 12.00 hours. Check our adjusted opening hours during the holidays. Would you like a contract for your company, for regular cleaning of your commercial vehicle(s) in our truck wash? If so, contact us!